This week I'm making it my official mission to catch up on my bloglovin' subscription feed. I feel like I say this a lot but I think it's something that comes with subscribing to so many incredible blogs. I wish there were more hours in the day. I try to read every post but I wish I could leave a comment every time too, just to say I was there and I liked it. I hope the pageview is enough though, you know? Interaction means so much more than a number so I try my best, because it's the little things that really add up and make a difference. If ever I'm having a bad day & I have a spare few minutes I watch Sarah Kay perform her poem 'B'. It never fails to put a smile on my face. The optimism and beauty within Sarah's words is so inspiring. It's become my happy poem and for that reason I wanted to have the little book on my shelf, you know, just in case. On particularly bad days I have been known to carry it around with me. Its presence is enough to warm my heart. I suppose that sounds a little silly but I'm telling you, the power of books is incredible! Generally I would say that candles don't tend to have a huge effect on my mood, but there's something special about this one. Whenever I light it I feel like I've stepped into my own little private bubble of peace and firmly locked the door behind me. Please ignore the uneven burn - that's the result of my slightly sloping cottage floor and not the fault of the candle! The Inner Strength range was created by the Aromatherapy Associates Co-founder Geraldine Howard as she was undergoing treatment for cancer and needed something to help maintain a positive frame of mind. If you're looking for a little treat for yourself or perhaps a gift for someone, I think this candle would be so perfect & 10% of the proceeds will be donated to Defence Against Cancer. Glitter polishes are my favourite for a couple of reasons - because they don't chip as easily on my nails as most regular polishes do & because if they do chip, it's easy to slap some on to cover the chip without having to repaint the whole nail. Yep. I'm lazy! I've been enjoying this one in particular because, well, look at it... it's amazingly sparkly! Is there anything that you have been especially loving recently? Lovely post :) Really like that Essie polish! So very sparkly. Wow! The Essie polish is right up my street! So pretty! I love the sparkly nail polish - i bet it'll be perfect for an xmas work doo too. I totally agree, it chips much less than normal polish and has anyone noticed that it's harder to take off too using ordinary remover? Do you ever get the feeling when your bloglovin feed reaches over a hundred and you sort of ignore it so you don't get too overwhelmed? I always end up neglecting my feed by accident, despite my love for scrolling through different posts with a cuppa. That sounds like a pretty impressive candle, I need to stock up my collection for the cold days! That Poem B is lovely! I definitely will be bookmarking that. Essie polishes are my favourite but recently Ive really been loving Maybelline's Mauve Kiss! I try not to neglect my bloglovin feed either- but now I'm back at uni this seems to mean picking out anything that interests me and marking the rest as read. I expect I'm missing out on a lot which is such a shame. 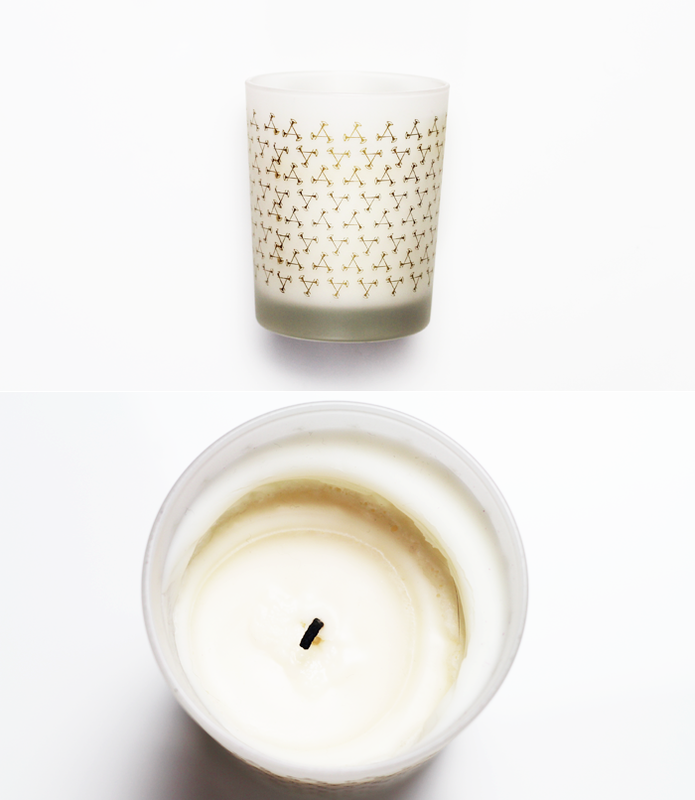 Also that candle looks lovely! 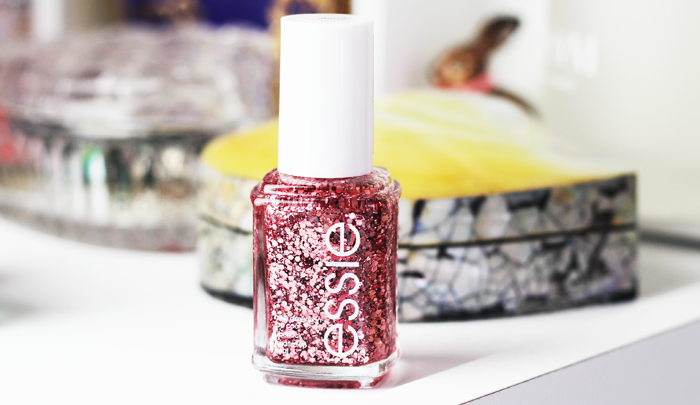 That Essie polish looks like fun and dare I say perfect for christmas! I love that nail polish. Sparkles just make me so happy! Hi Jennie, I really enjoy reading your posts and your blog is very inspiring. I've never heard of B before. I've bookmarked that Sarah Kay talk for when I'm feeling down! 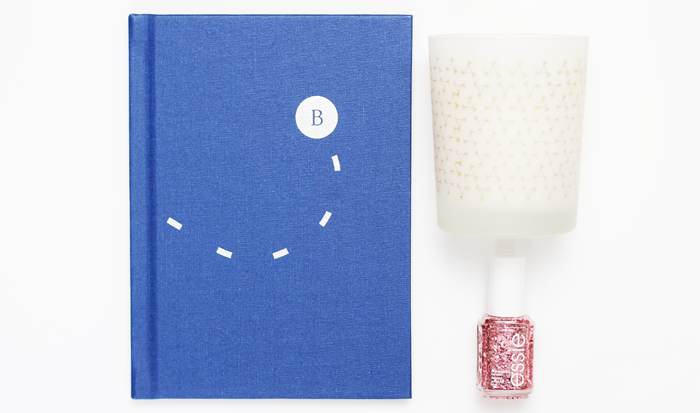 The book of 'B' looks beautiful, too. I've been really into candles these last few days too, as the evenings start to draw in and get darker - especially in the bath :) And that nail varnish is making me excited for the festive season (shhh) ! I know what you mean in regards to keeping up with that Bloglovin feed, it can be mighty at times! I find keeping up with blogs really time consuming too and hard to fit into life sometimes (But worth it! )- as well as posting on my own blog! 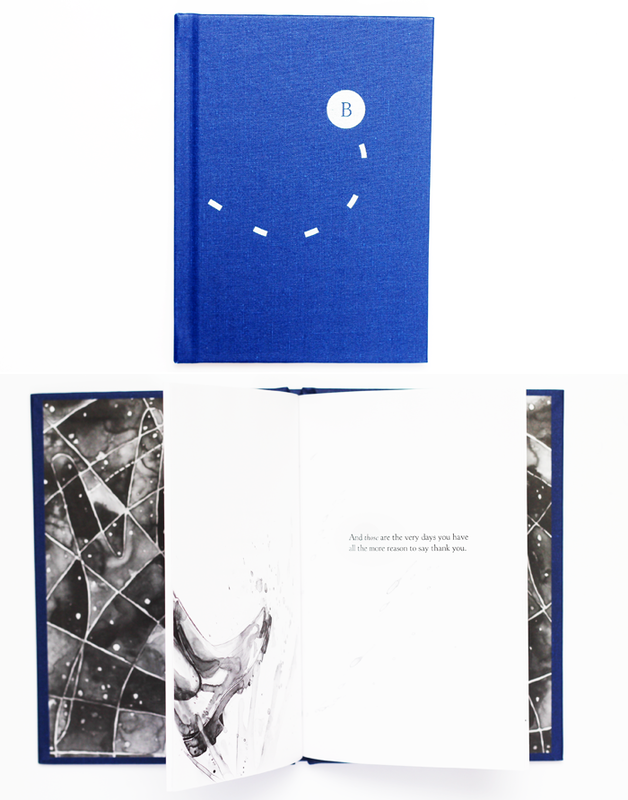 That poem book looks so pretty! That Essie polish looks amazing and so pretty! I always have bad luck with Essie polishes though so I've given up buying them. So, I have absolutely NO idea what I'm doing!